Good day my beautiful friends! Sorry I've been MIA for the past week, I just started working in a hotel and I spend most of the time there! I work for about 12 hours a day, even in weekend... Will update about my work later, k? Because I have awesome products to review today heheheh. 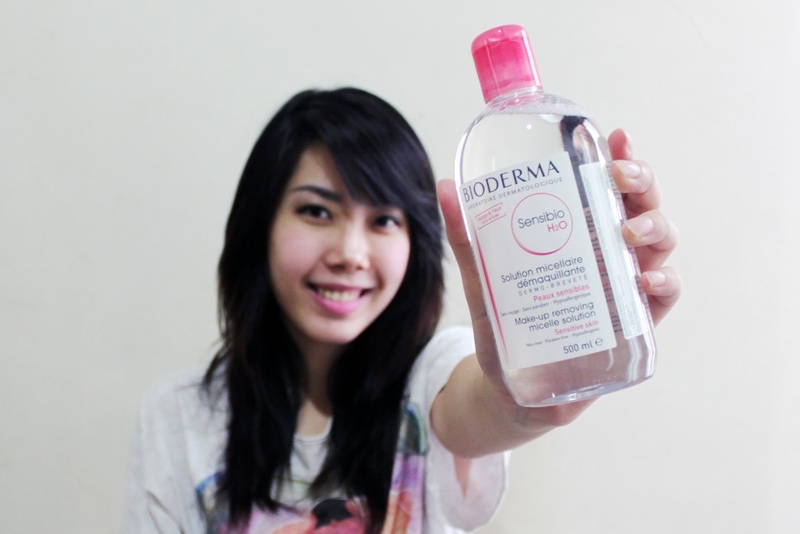 Unless you've been living under a rock for the past decade, then you must have known about Bioderma already. I've heard about this famous makeup remover couple years ago since all youtubers from all over the world can't stop talking and raving this product! But I haven't got a chance to try it until recently, I believe they're available in Indonesia since 2013, you can find them at Watsons, Guardian or other drugstores. I've been using oil-based cleanser for the couple of years, but it feels greasy and takes a lot of time to do, I have to massage my whole face for at least two minutes before washing my face. Not to mention I use different type of makeup remover for my eyes, because I don't like to use cleansing oil for my eye makeup, even though it doesn't sting my eyes, but it makes my vision blurry. With Sensibio, I only need cotton pads and Q-tip to remove all of my makeup, very convenient especially on lazy days! And because it is alcohol free, it doesn't dry up my skin. I could clean up my makeup brushes with Sensibio/Sebium too! I deep clean my makeup brushes every week, but I like to make sure that they're extra clean, especially eyeshadow brushes... Because I use tons of different colors and I don't want them to be mixed up while I'm applying makeup. All I have to do is pour some amount of cleanser of cotton pad and drag my brushes back and forth until they're clean, since the cleanser is water based, it only takes a while for the brushes to dry. Don't you hate it when you're applying eyeliner and they don't match each other? This thing drives me crazy every time! But no worries ladies, Sensibio/Sebium can be your easy makeup fix! Dab the cleanser on a Q-tip and you can erase the line easily. 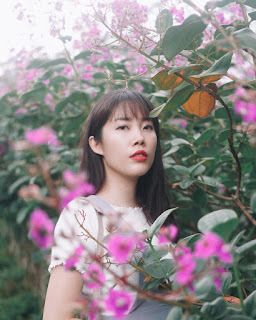 I recommend to use water-based makeup remover for eye makeup fix, because oil based cleanser will smear and your makeup will ruin instantly, and water-based cleanser dries up quickly too. Last but not least, I use the Sensibio/Sebium to clean my fake eyelashes as well, to prevent eye irritation and make the fake lashes long lasting. 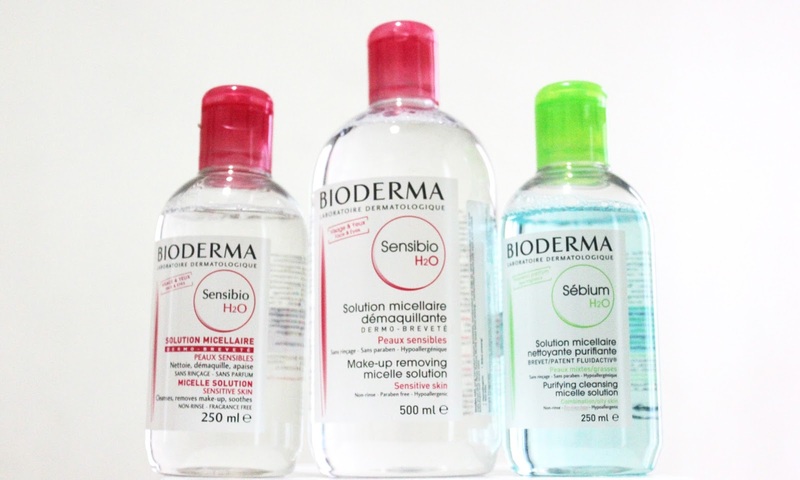 I think that Bioderma Sensibio/Sebium H2O is worth every penny, despite some people says that it's quite expensive, I've found and used more expensive makeup remover that works pretty much the same way as Bioderma. I like that I don't have to use different type of cleanser if I use this product, it's really convenient when traveling. Sensibio/Sebium is also able to remove waterproof makeup, even though it takes longer time than my regular oil-based makeup remover.  These two products are recommended specifically based on your skin type. I suggest you to try the Sebium one if you have oily/acne prone/combo skin, because it has oil-control and smells soooo gooood! Aren't you the one from THE QUEEN OF QUEER blog some years ago?